BLEMISHED: Sheesham (or similar hardwood) tabla is paired with a nickeled brass bayan. 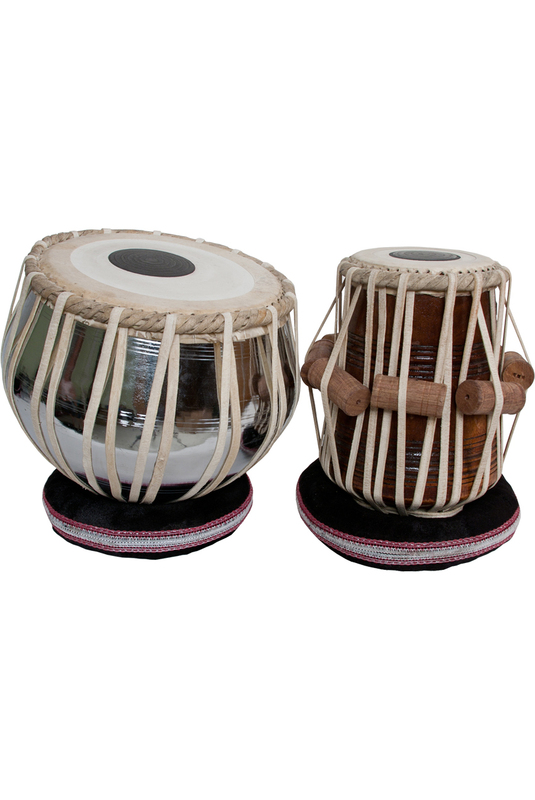 This Indian percussion instrument is used in the classical, popular and devotional music of the Indian subcontinent and in Hindustani classical music. The instrument consists of a pair of hand drums of contrasting sizes and timbres. Both are strap tuned. Includes the standard soft case, cushions, covers, and tuning hammer. Cushion colors and patterns may vary.